San Antonio Secortez, Guatemala – Nine-year-old Audel Caal carries a small bouquet of artificial white flowers as he runs down the dirt path leading to his grandfather’s home in the rural Guatemalan village of San Antonio Secortez. Paying attention to the details, he carefully places the bouquet in a glass and straightens a framed photo of younger sister, Jakelin. Jakelin died earlier this month while in the custody of the US Customs and Border Protection (CBP) agency. She was seven years old. 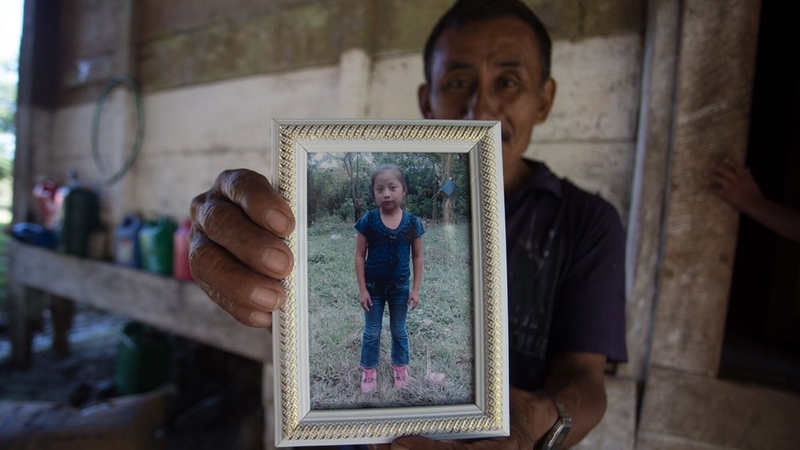 “We don’t want what happened to us to occur to anyone else,” says Jakelin’s 61-year-old indigenous Q’eqchi’ Maya grandfather, Domingo, who has lived in San Antonio Secortez since its founding more than three decades ago. Jakelin died in CBP custody on December 8 after being detained along with her father, Nery, a day prior in New Mexico. US government officials initially claimed the seven-year-old died of dehydration, but her father refuted these claims. The official cause of death is pending as the autopsy results are being finalised. The administration of US President Donald Trump blamed Jakelin’s father and the people smugglers, often referred to as coyotes, who led the pair, along with more than 150 more across the border. But the family rejects that Jakelin was sick upon arriving to the border. Claudia, standing in her home in San Antonio Secortez, adds that she believes the US is trying to “protect their backs”. Claudia wants the Trump administration to allow her 29-year-old husband to stay in the US in order to find work to pay back the debt he accumulated while fleeing to the US. She also hopes he can stay to live out Jakelin’s dream of living in the United States. “The worst and the most painful thing that could happen to us is that my husband returns without completing his and our daughter’s dream,” Claudia says. Nery remains in CBP custody, and may be deported as early as Sunday, according to the family. Jakeline and her father fled to the US for same reasons that have pushed hundreds from the area to leave. Guatemala has long suffered from systemic inequalities and discrimination against indigenous communities. 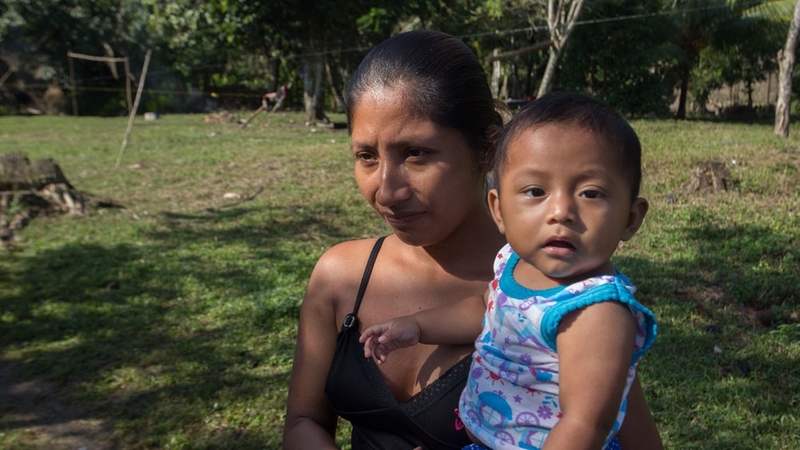 According to the Central American Institute of Fiscal Studies, the Guatemalan government invests $0.45 to every Quetzal invested in non-indigenous communities. The extreme poverty and lack of government attention has pushed many to migrate as a means of survival, especially in San Antonio Secortez. According to Domingo, Jakelin’s grandfather, at least 12 other families there have migrated to the United States. This is reflective of the rest of the communities across the municipality of Raxruha. According to Pedro Ico, the spokesman for the municipality of Raxruha, at least 200 families have migrated from the region. “The extreme poverty is causing many to migrate from our municipality,” Pedro tells Al Jazeera, adding that families started leaving in 2017 due to lack of opportunities in the town. San Antonio Secortez sits in the lush Guatemalan department of Alta Verapaz. Here, land is among the most important assets for rural farmers. For centuries peasant farmers have faced the rampant expansion of agro-industry. This has led to extensive inequalities of land ownership, especially for the indigenous Q’eqchi communities. 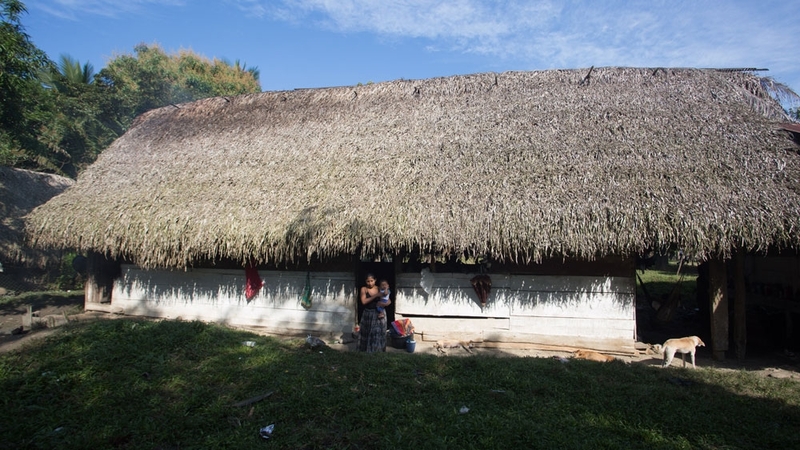 The community of San Antonio Secortez was founded in the early 1980’s after years of struggling to gain access to the land, which according to Caal was once owned by General Fernando Romeo Lucas Garcia, the dictator of Guatemala between 1978-1982. It was a difficult struggle. The Guatemalan military carried out massacres across the region during dictatorship of Lucas Garcia and the subsequent administration of Efrain Rios Montt. Domingo was 27-years-old when they won the rights to the land. He left this victory for his children. Yet in the decades since the community has been heavily affected by the lack of opportunity and by climate change. These factors are driving many to make the dangerous journey to the United States. “There is less rain every day and it is getting warmer,” Domingo says. What little is produced is not enough to support the family. Nery worked almost one acre of land. Through this, the family earns around 700 quetzales, or roughly $90, every six months following the bi-annual corn harvest. Expanding production was not an option. It pains us deeply that we lost our daughter while in search of a better life. According to Claudia, her husband had attempted to find work on the nearby African palm oil plantations the previous year, but no one was hiring. It was earlier this year that her husband began to talk about migrating to the United States. His goal was to earn the money to buy more land to support the family. Unlike other neighbours, Caal did not mortgage his land to get the money to pay the smugglers, locally known as coyotes, to arrange his trip to the United States. “My husband never had a debt with the coyotes. He has a debt with our neighbours and family members,” Claudia says. The stress of having to pay back the money weighs hard on Claudia, she says. For now, though, she must prepare to bury her daughter, whose body is scheduled to return to her community on Sunday.